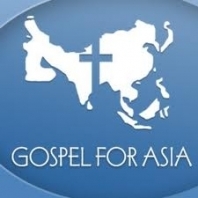 Gospel for Asia— Gospel for Asia’s mission is to share the Good News of Jesus with those who have never heard his name. We train and send national missionaries to reach out into areas where the Good News of Jesus Christ has not yet been heard. For over 30 years, Gospel for Asia continues to bring aid and hope to some of the most downtrodden people in the Eastern Hemisphere. The vast majority of these people live in the “10/40 Window”, a rectangular shaped area on our globe extending from West Africa to East Asia, from 10 degrees to 40 degrees north of the equator. In this part of the world, millions live with little or no chance of ever hearing the name of Jesus. And many live in desperate poverty – over 80% of the world’s poorest people live in the “10/40 Window”. The Window also encompasses the majority of the world’s Muslims, Hindus, and Buddhists. As just one of their focal points, Gospel for Asia has Bible colleges throughout South Asia where thousands of men and women are studying God’s Word and undergoing intensive training in preparation for ministry. Through their training, where weekend and summer outreach is an important part, the students help many come to the saving knowledge of Christ. Most of the Bible college graduates will go on to minister in areas where the Gospel has never been proclaimed. For more information or to direct prayers specifically, please visit their website.